The Recession is one of the two biggest fears in Britain; see: http://hpanwo-voice.blogspot.com/2009/04/britons-more-fearful-than-ever.html . Everybody’s worried about not making ends meet. I saw the above poster on a bus last week. 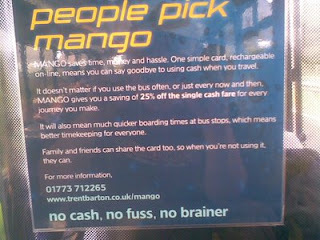 It’s advertising the Trent-Barton Mango Card (https://www.netescape-secure.co.uk/mango/index.aspx?ReturnUrl=%2fmango%2fmembers%2findex.aspx) It’s a system for cashless bus travel that can be found in one form or another in many places all over the world. The schemes often have gimmicky and attractive names like The London Underground Oyster Card. It functions as a part season ticket, part loyalty card, just like supermarket ones. The incentives for using it are summarized on the poster; it’s more convenient, quicker and above all, it carries a monetary discount on travel and in this day and age that is very persuasive. But the benefits come at a price: a loss of privacy and civil liberties that our rulers can use to their advantage, and our detriment. 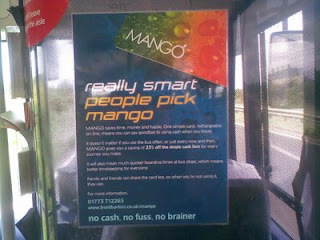 What the poster doesn’t tell you is that when you pay for a bus journey with your Mango Card a lot more happens than your fare simply being deducted from your account. The system also records which bus you boarded on which route; it records the time of day you boarded too. So whoever controls the system has all the data necessary to build up a profile of your traveling activities and even trace your movements. Travelcards like Mango are just one part of a much larger change in society towards more and more technological control and snooping. Other aspects are the encouragement of the cashless society; see: http://hpanwo.blogspot.com/2008/11/coins-are-dropped.html and the fingerprinting of children in school; see: http://hpanwo.blogspot.com/2007/11/this-is-drawing-done-by-my-12-year-old.html and National ID Cards: http://hpanwo.blogspot.com/2008/01/papiere-bitte-snaps-fingers.html . The Big Brother controllers and using a new tactic now which they’ve introduced more and more since that start of the Recession (I sometimes wonder if they’re over-hyping the Recession for this reason... among others!). They’re exploiting people’s fear of money-problems by offering them the chance to save money. This is the case with supermarket loyalty cards. When you register a purchase with your Sainsbury’s Nectar Card all the items you buy are recorded on the database so your reward points can be calculated. This means that Big Brother can see what you buy and build up a file about your shopping habits. These kinds of profiles are already in operation for Internet shoppers. On several occasions now I’ve made a purchase online and soon afterwards I get some email spam or junk-mail through my letterbox that is related in theme to the product I bought. This can only be possible if my contact details have been stored on some database that allows advertisers to target me with wares they think I’d like. The potential for the abuse of this practice is unfathomable. We have to be aware of that whenever somebody offers us the chance to save a few bob on our groceries by joining some reward card scheme. 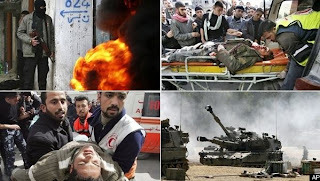 It could be an example of what David Icke calls Problem-Reaction-Solution. Yes, the consequences of the current economic climate are worrying for nearly everybody, but it’s not worth trading in our freedom from electronic tyranny for a bit of financial security. Our freedom is so valuable that surely we're not going to let Big Brother bribe us out of it! I’ve met Adrian Gilbert before. He spoke at the brilliant Now That’s Weird conference last year. Here’s my review of it: http://hpanwo.blogspot.com/2008/06/now-thats-weird-conference-2008.html . What is the Invisible College? It seems to the term Adrian uses for the Mystery Schools, the positive ones that guard ancient knowledge from the Illuminati and plan to reveal it when it’s safe and proper to help and advance humanity. Obviously they have to be secret so that the Loomies can’t find them; indeed some of them have been sadly exposed and then either infiltrated and corrupted into Illuminati puppets or destroyed. The novel The DaVinci Code by Dan Brown, along with its subsequent cinematic equivalent, and the history book that inspired it, Holy Blood- Holy Grail, may be dubious in its details but it is based on truth, as is the Dischordian Movement in The Illuminatus! Trilogy (http://hpanwo.blogspot.com/2008/01/who-is-hagbard-celine.html). Adrian spoke of what he called “the” Invisible College, although whenever he mentions it it’s probably best to substitute “an” for “the” because the Mystery School he talks about is just one of many and they’re not always aware of each other; nobody knows how many there are. This Invisible College was founded in 1597 and its headquarters was on the site where the NatWest Tower currently stands. Its first director was Sir Thomas Gresham so it became known as the Gresham College. It gave public lectures for free and soon because the focus for free-thinkers. Later on it moved to Oxford. This was a dangerous time because the Civil War was brewing and Oxford was seen as a hotbed for the Cavaliers; the King actually made the city his capital after London fell to the Roundheads. In fact anyone there who wasn’t a raving Royalist could find themselves in deep trouble. The Invisible College studied the sciences, theology, music, law, mathematics and economics. All these subjects were banned on the Catholic world of the Continent. They achieved many successes like discovering the planet Ceres; they also worked out a possible design for Noah’s Ark. One of their members was Sir Christopher Wren, the famous architect who designed the modern City of London after the Great Fire, including St Paul’s Cathedral. Robert Hooke and Robert Boyle were also said to be members. The College kick-started the Enlightenment and helped form the Royal Society, but there was a schism in the 18th Century after the death of Wren. It seems hard to believe odd through modern Western eyes but scientists in those days were rather like what Arpad Pusztai nostalgically called “Gentleman Scientists”. Many were also Occultists, esotericists and mystics; some of the astronomers were into astrology and vice versa. The modern fad that says science has to be based on pure, unadulterated empirical Materialism had not yet taken hold. In fact the schism in the Invisible College really marks the beginning of that fad. The great Gnostic polymaths of the early College would be appalled at people like Michael Shermer and Richard Dawkins (See my review of Dawkins’ book The God Delusion: http://hpanwo.blogspot.com/2008/04/god-delusion-by-richard-dawkins.html). Adrian says that the schism took place because the College was subverted by what he calls “dark forces” and this dovetails perfectly with my own research. In fact there’s a direct parallel with the leadership coup in the Bavarian Illuminati in the 18th Century when Baron Knigge deposed Adam Weishaupt. http://hpanwo.blogspot.com/2007/08/my-book-review-who-are-illuminati.html . The Gresham Collage may well have fallen foul of a “Mugabe-Nehru”. The College’s original hero was Sir Francis Bacon, a genius in science the arts and magick. He was in the Rosicrucian Order and may have been the illegitimate son of the Earl of Leicester and Queen Elizabeth I. He wrote a novel called The New Atlantis about his vision of the he the ideal society; it was an allegory of Britain. The picture on the front was of a ship sailing between two pillars and this was intended to be a satire of Oxford and Cambridge, the twin keepers of knowledge and who decided on the knowledge rations given out to the people. Bacon believed that knowledge should be freely available and that nobody could have too much of it. 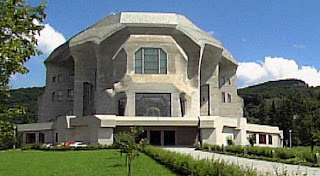 The Rosicrucians at the time had links to other esoteric research organizations all over the world including the descendants of the Assassins in the Middle East because contrary to popular belief nowadays the Islamic world has a very ancient tradition of science and learning, far older than Europe’s. Baghdad University was thriving 300 years before the founding of Oxford; the Equivalents of the Gresham team in the Arab lands shared much of their knowledge with their European friends. They influenced Helena Blavatsky who was an amazing lady (At the age of 16 she was living in western Russia and told her parents one day “I want to go to Tibet”. They laughed and said “You can’t go to Tibet, you silly girl!” So she replied “Yes I can”, left the house and walked there, 5500 miles!). But Adrian believes that the true sources of the knowledge of Rosicrucianism and similar groups came from other consciousnesses “Higher worlds”. Something is guiding our universe to take the form it does. There’s no way something as complex as the human body could come into being by accident, in Adrian’s view; and I bet Richard Dawkins would have something to say about that! 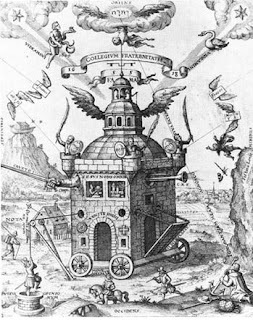 In 1618 the Rosicrucian TS Contantiens produced a drawing called Temple of the Rose Cross (See picture directly above) showing a strange thing: a house on wheels! But the really conundrum of the picture is that it also shows a very bright star in the constellation of Ophiuchus, the Serpent-Holder. This is actually a supernova that appeared in the 15th Century and was recorded by the Invisible College’s astronomers. Adrian has written several books on Ancient Egypt, one well-known title with Robert Bauval called The Orion Mystery. Orion is the most prominent constellation in the sky and it was considered sacred by the Egyptians and the Pyramids are laid out on the Earth to match the pattern of the stars in the sky. There are also shafts leading from the Kings Chamber to point to the constellation. Official Egyptologists brand people like Adrian “Pyramidiots”, but what else can you expect after 400 years of this perverted materialistic obsession! Interestingly the part of the sky known as the “Club of Orion” points to the spot called the “Northern Stargate” (See my link above to Adrian’s segment in the Now That’s Weird conference). The heart of the Milky Way is directly opposite it on the celestial sphere. It is this notion that may have inspired the 1994 Roland Emmerich film Stargate. I remember being intrigued by the concept when I first saw the film (and felt a tinge of regret that such a wonderful plot had been wasted on such an utterly shite movie!). It is this spot in the sky that the Egyptians believed our souls traveled through after we die in this universe. The soul then has to transit the entire Milky Way as a kind of Purgatory and this is described in the Egyptians Book of the Dead. The hieroglyphic symbol for this Stargate spot appears on the funeral caskets and tomb walls of many pharaohs; it is often seen in conjunction with the Ankh symbol which signifies the immortal element of the human consciousness. In recent years this alignment in the sky between Orion, the Stargate and sun has produced an amazing series of effects. At the 2000 Summer Solstice the sun shone down directly into the shadow of the Pyramid of Kafre from its peak. And it was quite significant that several Elite politicians, including George W Bush, got together and called for a golden capstone to the placed on one of the Pyramids that year. In the present years at the Summer Solstice the sun appears at the northern extremity of the Club of Orion, so it you imagine that the club is a torch it looks like Orion, the Hunter, is holding a lighted torch with the sun as its flame; and so the sun is currently aligned right on the Stargate Adrian talks of! This is a very attractive idea because it mirrors the Mayan ideas of 2012 when the sun rises directly opposite on the Winter Solstice, in the “Dark Rift”, what the Mayans saw as the mouth of a Heavenly crocodile. The Stargate’s elevation on the Summer Solstice also matches the angle of the Pyramid of Kafre; so did whoever designed that Pyramid know of that, or are we write it off as another example of that universal cop-out: “Coincidence”? 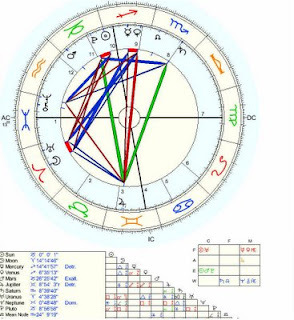 For the Egyptians the Galactic centre represented the spirit called the Logos of the sky, seeing at the sun is at the point of the Stargate directly opposite that, on the Galactic anticentre, does it signify some form of escape for the souls of this universe? This is the question that has led Adrian to form a new Invisible College (See link above). You’ll need to pay to join, but it’s very cheap at only £10 a year. Adrian thinks that we need to prepare for this coming change that is predicted in the sky, we need to raise our own consciousness and awareness, because who knows what might happen (see Andy Thomas’s segment above). Our so called “Civilization” says we’re only good for kicking footballs about and getting drunk, but we’re capable of far more than that. We’re sons and daughters of God! I’m not sure if Adrian agrees, but I personally think the entire Human Race has been deliberately and purposefully indoctrinated to believe the former and forget the latter. I hope Adrian’s new Invisible College will jog our memories. Challenging Orthodoxy- a Career-Limiting Move! The final session of the conference was an uninterrupted double-bill and first up was David Bellamy, one of the most famous naturalists in the world. He’s a household name in Britain and beyond, and I clearly remember watching his wildlife programmes when I was a child. Here’s a good example: http://www.youtube.com/watch?v=7yBV2SUY8f8 . Little did I know at the time that one day I’d be watching him give a lecture at a conspiracy conference! His fame and popularity comes from his humourous, charismatic and passionate manner. He’s a highly respected expert on the natural world, especially botany and has also become a dedicated environmental campaigner. So far he is the most prominent scientist to reject the conventional idea that the Earth is warming up and that human carbon dioxide emissions are to blame. In David own words: “that’s poppycock!” Getting him to address the AVII conference was a real coup for its organizers. Here is an Irish TV interview where David outlines his misgivings about the prevailing MMGWT (Man-Made Global Warming Theory): http://www.youtube.com/watch?v=kU_AZ--tg7Y . But no matter how well-respected you are, if you try to swim against the stream of establishment dogma you get into trouble. David has been sacked as president of conservation group Plantlife and many of his former admirers, like the Royal Society of Wildlife Trusts have denounced him. I was looking forward to hearing David speak and as soon as he began I realized I’d forgotten how funny and adorable he is. He was born in London in 1933 and remembers his childhood in the Tube stations during the Blitz sheltering from air raids. To this day he still loves the Tube and always uses it to travel around the city. He finds it significant that Man joins many other species of creature by hiding from danger underground. MMGWT is deeply engrained in our society, but this has come about more by repetition that reason. From the earliest age children are indoctrinated in it through TV programmes like Teletubbies which shows a wind turbine alongside cuddly, loveable creatures. There are a lot of myths even within the MMGWT orthodoxy. For instance it can’t be true that the Marks and Spencers shops get all their electricity from wind-power because the 2400 turbines in Britain could never generate enough power. And they all are attached to the same grid. The hydrogen and electrically-powered “hybrid” cars everybody raves about are based on a fallacy; their fuels are generated from the usual electrical or petrochemical sources and so are a means of storing existing energy, not generating it. For instance a hybrid bus may be able to run on its electric motors in the centre of Oxford, a city which has been scandalized for its pollution, but to generate this electricity it has to run its diesels twice as fast in the suburbs to do so while also driving itself along then. Investment has dropped in wind farms and half of them could be scrapped, so maybe the penny has dropped. David then went on to précis the natural history of the Earth. The Earth’s temperature is always at a delicate balance. Because there are only 100 degrees Kelvin between ice and water vapour; the range where water is liquid, and so allows life as we know it to exist, is very small and so nearly all the water in our solar system, and probably the rest of the universe, is in one of the two other states. Earth is an oasis of life thanks to its liquid water. 14,000 years ago people built stone houses in Scotland after the last Ice Age drew to a close because of changes in the activity of the sun. David related how he’d gone to the ice sheets of the North Pole where a tiny little single-cell plant called Clandemonius Nivea was hanging onto life in those freezing conditions. There was no Amazon rain forest 17,000 years ago. It was very dry during the ice age with most of the Earth’s water frozen. Blue-green algae fixed nitrogen and helped to melt the ice but it was still dry. Mosses followed the algae and The polygons of moss thrived during the thaw, as they do today in the Siberian tundra where “summer” is a mere ten days long! No time to get out the deckchairs and parasol if you live there! Post-Ice Age soil formed from the bodies of animals and plants that had previously been frozen. Things got better not worse. This process culminated in the birth of human civilization (This can be seen as both good and bad I think!). If the Ice Age had continued, and Global Warming had not happened, then you and I would be cavemen today. Mind that Sabre-toothed tiger, David! Britain immediately after the Ice Age was completely covered in hardwood deciduous forest and a squirrel could travel from Land’s End to John O’Groats without touching the ground. Humans have been continuously deforesting this island to create its green field landscape that we wrongly think of as natural. This process was mostly completed during the Celtic Period and by the time the Romans invaded more than half of our natural woodland was gone. Today it’s more than 95% gone. So there are more pressing environmental concerns than the emissions of a harmless natural gas! The Roman Period was interesting because for the first time accurate records were kept of human activity in Britain. We know that vineyards were set up in the far north of Roman Britain; this was almost at the Scottish Borders! Try growing grape vines in Newcastle or Carlisle today! The climate of Britain during Roman times must have been at least 3 degrees hotter than the modern age. Then followed the Mediaeval Warm Period, a epoch that the MMGWT establishment wants to pretend never happened and go to great lengths to hide it from us, including outright scientific fraud! The scandal of the Hockey-Stick Hoax deservedly lives on. I wrote about it here: http://www.davidicke.com/forum/showthread.php?t=1204 (I’m "hagbard_celine". I am also sure I wrote a HPANWO article on the Hockey-Stick Hoax but it has vanished, like my one about the Solway Firth Spaceman!). The Mediaeval Warm Period from about the 8th to the 16th Century was a Golden Age, the age where we built Cathedrals, when Vikings took to the sea. They colonized parts of Greenland that are today icebound. Also in the 10th Century the Chinese explorer Admiral Jeng Hu sailed his ship right up into the Arctic and encountered completely clear seas in a place and at a time of year in which they are always covered by ice today. So don’t worry about the polar bears; they’ve faced worse than what we have today and survived fine. It wasn’t a completely Golden Age though. People in Northern Europe sometimes suffered from malaria epidemics, a disease which can only spread in very balmy climates and is unknown in that same region today because it’s too cold. In fact the period we’re in today is the recovery from the “Little Ice Age” of the last 400 hundred years. At its nadir the River Thames froze over during winter and Londoners could cross it by walking. They even held winter fairs on the frozen surface and competed in ice skating tournaments etc. Many of the images on today’s Christmas cards date back to that era. But MMGWT-advocates ignore all that. MMGWT is very important politically and economically. David might not go this far, but I myself have noticed how it is used to give governments more authority; they can promote themselves as our “saviours” from this danger. They recruit politicians like Al Gore to advertise their product, and a product it is! It has even been rebranded... and it's no exaggeration to use that term... from Global Warming to Climate Change and Carbon Dioxide Gas to just Carbon. Edward L Bernays is alive and well! To think people criticized David because he did a few ads for Ribena and the Post Office! Is nobody suspicious that these guys use Al Gore as their figurehead? It’s not for his good looks I’m sure! Could it be because he was a US Vice-President under Bill Clinton, a job which must have proved his mettle as a deceiver and keeper of secrets! Just take a look at some of the mental and emotional terrorism the Elite are using to keep us harnessed to the MMGWT agenda! This is more frightening than a horror film yet kids can watch it, indeed they’re encouraged to! 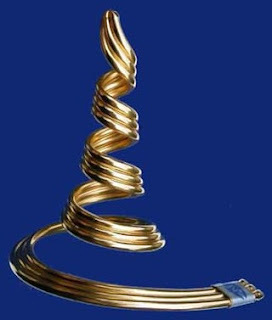 : http://video.google.com/videoplay?docid=-2058273530743771382&ei=pzpGSrO_AYLp-AaxvKS9Ag&q=global+dimming (See this article for more background: http://hpanwo.blogspot.com/2007/12/convenient-lie.html). If this evil scaremongering were true then why are Mars, Jupiter and other planets in the solar system warming up? Aliens with 3-litre 4X4 flying saucers? There are other news stories breaking out about how even the natural warming of the Earth’s climate may now be reversing. Following the scorching hot years of the late 90’s we’ve seen a dramatic downturn in world temperatures. Also the sun is going through a new “Maunder Minimum”, a period of little or no sunspots that precedes a decrease in its thermal output. David calculates that all the known fossil fuel deposits burned all in one go it would raise the Earth’s temperature 0.2 degrees, which is negligible in its environmental impact. As an example he showed a photo of Marilyn Monroe and says “WOW!” At his age of 76 she still raises his body temperature and it escapes as hot air! In 1966 David published a scientific paper warning of a new Ice Age coming. The real tragedy is that in trying to prevent carbon emissions we are doing terrible things to the environment. We are deforesting vast areas to grow corn for biodiesel. We’re turning to nuclear power which is a horrendous environmental threat; and even Green Party members are in favour of it. See here: http://hpanwo-voice.blogspot.com/2009/02/green-party-man-backs-nuclear-power-in.html . David says we should thank our lucky star… the sun… that it has warmed the Earth well enough to let a species evolve that can analyze and work out how to solve the planets problems itself. That’s how we’ve survived and succeeded. Most of us know by now that the government won’t solve our problems and local communities are. In China it is local people, not the government, that have implemented recycling plans. David feels sure, as I do, that we humans can adjust to any climate change the Earth throws at us. 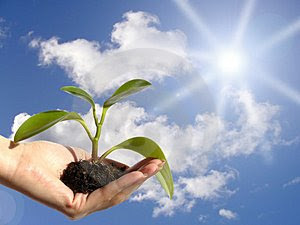 For instance in the Sahara people are planting trees because the climate is better for plants now because of the higher CO2 and water vapour in the atmosphere. David is a big fan of motor racing and laughs at Honda’s “Earth Car”. As an intelligent species we can use good science and good social science to lift us to greater achievements and greater joys. We shouldn’t worry about climate change because Mother Earth has been habitable and in the temperature range of liquid water for over 2 billion years and it should remain so for at least another 4 billion to come. We’ll get nowhere through profiteering and politically-motivated pseudoscience. “Science used to be fun” David said, echoing the sentiments of Arpad Pusztai. I hope it will be again soon and I’m sure David does too. As David Bellamy left the stage it was time for the grand finale of the AVII conference. Ian Crane (or Ian R Crane as he likes to refer to himself to avoid being mistaken for a Liverpool estate agent who is fed up with people emailing him with questions about the New World Order when all he is interested in is house prices, solicitors' fees and stamp duty etc!) is a man whose work I’ve followed very closely since seeing his first filmed Glastonbury Symposium lecture and I attend every event of his that I can. He began by thanking all the people who’d helped to put such a wonderful conference together, EMTV, his friends and family, even one bloke whose wife had just had a baby at the time, and we all gave them a round of applause. Every time I see Ian he reiterates many of the important points he’s made before but always brings something new to the scene. There is much documented evidence for the New World Order to support the so-called “Conspiracy Theory” of it. Report from Iron Mountain, which can be read by anyone at the Library of Congress. It talks about deliberately engineering problems to keep control of society. Iron Mountain's attitude to war is echoed in more recent publications like the Project for the New American Century’s infamous Rebuilding America’s Defences handbook. A second interesting book is The Grand Chessboard by Zbigniew Brzezinski, an extreme right-wing political analyst who supports the use of military might to asset American global control. David Bellamy has gone into the Global Warming myth and what’s interesting is that it matches part of the Iron Mountain document which states that dread of environmental catastrophe could replace war as humanity’s number 1 fear and therefore be exploited by politicians as a source of respect, as I said above in David’s segment, our “Saviours”. Gordon Brown (whose name, unbelievably, is the English equivalent of the great esoteric philosopher Giordano Bruno. What an ironic joke!) gave a speech when he first became Prime Minister where he used to phrase “New World Order” 5 times. A mysterious stone monument, by an anonymous artist, was erected in Georgia USA in 1982 called The Georgia Guidestones. On it was laid out the basic charter for the New World Order in 12 modern languages and 12 classical ones. Population reduction seems to be one of their primary tenets. They want there to be no more than a billion to half a billion people on the planet. How they plan to achieve that is not stated, but one can guess that it cannot be done by merely asking people to have less children. They want to kill people; it’s obvious. A scientist called Dr Eric Pianka was applauded for suggesting this in a speech he gave at the University of Texas. Pianka thought airborne diseases could be the answer. Andy Thomas refuted this in his pre-conference radio interview (http://www.redicecreations.com/radio/2009/04apr/RICR-090426.php), but the denials of what Pianka actually said came later and not from any proper minutes; as far as I’ve heard no minutes were taken. Besides the idea that humans are the cause of the Earth’s problems and so therefore need to be controlled and reduced in number is not an exclusive one; Prince Philip too has said that he’d like to be reincarnated as a fatal virus so that he could reduce the world’s population. So as Conspiracy Theories go, this is not an “Elvis-is-still-alive” one; it’s there in black-and-white, or on stone slabs. I was happy to see that the Georgia Guidestones have been defaced, see the picture above; wish I'd done it myself! “Globalization” is a buzz-word today, but who knows what it means exactly. A good book to explain it that Ian recommends is Confessions of an Economic Hitman by John Perkins (http://www.economichitman.com/). It’s the an autobiography of a man employed to enter Third World countries around the world and use scams and threats to let corporations take them over. Corporations are becoming what the sci-fi author Kim Stanley Robinson calls “Meta-Nationals”, the true superpowers of the world, with political governments as their chattels. The current nation states are all being absorbed into superstates like the EU which are unelected. The European Parliament is a music-hall farce! MEP’s are like trade union shop-stewards and have none of the legislative powers that national Parliamentary representative have… used to have I should say. In a word the UK no longer exists. National heads of government in European countries have less power than a state governor in the USA. The other superstates like NAFTA and APEC are not far behind. So don’t bother writing to your MP any more! If you’re new to all this you may wonder why people don’t know this. There are several reasons. The media is a lot to blame and I’ve written a lot about this myself (EG: http://hpanwo.blogspot.com/2008/07/grimlys.html) Medication is another method, and Len Horowitz spoke about that too; see above. Ritalin is an awful substance that Dr Hilary Jones once promoted on GMTV. This drug is associated with all examples of the high-school shooting phenomenon in Finland the United States and other places. It’s also caused suicides and could be the cause of “suicide hotspots like those in South Wales. Ian was so concerned that he managed to forge vaccination documents to protect himself and his family from being injected (I wish I’d done the same with my own daughter!). The Elite underestimate us if they think we’re too stupid to work out what’s going on and this is why this conspiracy is sometimes more open than you’d expect. Some claim that all these very accessible and credible sources are forged. Well then how do they explain that Brzezinski used Iron Mountain as a source? He wrote in his book that the Elite must keep people locked into consumerism and obsessive materialism so that they will not realize their “true selves”. Just a “paranoid Conspiracy Theory”? It’s spelt out for us! The HPV vaccine is the latest attack on us. It claims to be able to prevent 3000 deaths in the UK a year. 3000 sounds like a lot when you see that it’s about the number of people killed on 9/11, but it’s fewer than those killed in road accidents in ten days. And as Len Horowitz said, side-effects of the vaccine itself will kill more than 3000. However the HPV jab is mandatory in Texas and might become so in the UK. It’s already been offered voluntarily to my daughter; you can guess what I said! Then Ian mentions Jade Goody. Here’s what I wrote about her: http://hpanwo-voice.blogspot.com/2009/03/jade-goodly-dies.html . He reveals a theory that I’ve not seriously considered before. Somebody might go on holiday in a distant part of the world and come across somebody who looks and sounds just like Jade, but has a different name. Is Jade really dead? She was shown all over the media as she was supposed to be dying of cancer but apart from losing her hair she never really looked very ill. She was always made up for the cameras! Her death is already being milked by those promoting vaccination and who knows how far they will go. I can see it now: “The Jade Goody Memorial Foundation for Women’s Health urges you to get vaccinated against this terrible disease!” Was Jade fooled into faking her own death and taking part in a Big Pharma scam? I’ve not made my mind up yet and there are many holes in the theory; but if Big Pharma want to do it, let’s face it, fooling Jade would not be difficult. Ian then went on to talk about Codex Alimentarius. Codex Alimentarius laws are a deeply sinister expression of the agenda to conquer the body of every human being, from birth… nay conception, to death. The laws are a two-pronged assault. On the one hand they reduce the quality of food by imposing GMO crops and livestock creating what Ian calls “cardboard food”. This is what is often forgotten about the GMO threat: it’s not so much what they put in it; it’s what they take out. GM food is stripped of many of the essential vitamins, minerals, the subtle and fragile nutrients we need to stay healthy. So we get sick more often and the other prong of the assault is the end to natural medicine so Big Pharma has a monopoly on treating us. The length of a person’s lifespan will probably increase and this will be used falsely as an indicator that people are healthier, but it’s a fallacy. People live longer because we are embalmed alive by medical drugs! In the past people may have died at 60, but those in 60 years we were active and healthy, only deteriorating with age in the last couple of years. Interestingly Paul Bremner, the American governor of Iraq, passed a law just before he left office which demanded that all Iraqi farmers use patented GMO seeds and that they buy these seeds exclusively from Monsanto. This is a company that is playing a crucial role in the Codex Alimentarius agenda. Ian hopes, as I do, that the farmers will rebel and break this law. If they don’t then they’ll not only be poisoning their land with GMO but ruining their businesses by being forced to buy new seeds every year or be prosecuted for breaching Monsanto’s patent. Work is also being done to change the Earth’s environment (see: http://hpanwo.blogspot.com/2007/10/chemtrails-and-tomorrows-world.html) Many deny that Chemtrails exist, saying that they are merely the condensation produced by aircraft engines. But this cannot be so because ordinary jet aircraft only produce a short trail which quickly evaporates, like your own breath does in cold air. Chemtrails can be hundreds of miles long and dozens wide; they can cover the sky in a blanket of scum, and all this is just water vapour from a pair of ordinary jet engines? No way! A friend of Ian’s actually petitioned his MP, Sir Anthony Steen, but Steen balked. He’d been warned off. By whom, eh? Ian has succeeded in selling his house and he urges every other home owner to do the same because of the current financial crash. Debt is used to enslave people and has been for a long time. They’re planning stock market crash and this is what the Credit Crunch is leading up to. The EU elections were taking place during the conference and the results are now in, but Ian suspects that a ploy was used to bury the bad news with another trivial headline; in this case the MP’s expenses scandal. The Irish are currently being bullied into accepting the Lisbon Treaty despite being “given the choice” in a referendum and rejecting it. The same happened with the Maastricht Treaty in the previous decade. As many have predicted, the “No” vote in Ireland has not been accepted and the electorate are being threatened with grim portents about the Recession unless they change their minds. Here’s a good vid that Ian showed of David Miliband being challenged: http://www.youtube.com/watch?v=x71INuYQnTk . “Princess Dave”, David Cameron will be the next Prime Minster and he’s bleating on about “Change” like they all do. In fact a staff accommodation house at my hospital has a banner outside saying Vote Conservative- a Vote for Change. Yawn! Barack Obama is supposed to be the “Man of Change”! Ian thinks Cameron is a more dangerous man than Obama because he is crafty; Obama just delivers speeches. Ian, as always, is an optimist. He advises us to keep on our toes and keep our ears to the ground. We may also be able to prevent future false-flag terror attacks by getting the word out whenever we suspect that they might take place. It might be enough to prevent them because nobody is going to stage a bombing where too many people have predicted one will take place because it will be a dead giveaway. Ian thinks that it’s possible that he’s already achieved this. He suspected that they’d target a hotel in Chicago with a 9/11 follow-up and he told everybody he knew. Nothing happened, but a few days later a “terrorist cell” was arrested which possessed detailed maps of the target location. He’s not sure, but Ian thinks that if he did manage to put the false-flag operatives off their meal he may be able to do the same with the London Olympics. A fake alien invasion is a last card the Elite might play to bring in the New World Order before the end of 2012 and Ian has spoken about this before. It’s interesting to watch the film Independence Day. It’s an appallingly bad movie, but worth seeing nonetheless because it appears to be an example of the media indoctrinating us to fear anything “out there”, especially extraterrestrial civilizations. The cute little beings like ET and the aliens from Close Encounters are out of the window now! Ian thinks the most likely time and place for this false flag alien attack to kick off will be the opening ceremony of the London Olympics in 2012. Was this scene from the Los Angeles Olympics in 1984 a dry-run? : http://www.youtube.com/watch?v=DCYElo49dJI But by speaking out about it we can perhaps prevent it. That’s a very empowering thought to end the Alternative View II Conference. After the conference we traveled to Ustane’s house and I discovered what might have been the origin of the feeling of unease and foreboding that had haunted me all weekend. Sweetie, Ustane’s hamster, had escaped while we were away. After an all-night search we eventually found her trapped underneath a kitchen cupboard. We had to unscrew the cupboard from the wall to free her. I’m not sure how long she’d been there, but it was quite a while; possibly all weekend. She was dirty, hungry and thirsty; what’s more she’d chewed up some polystyrene insulation to make a pile of bedding. It was strange because although we knew how she got out of her cage; it had broken, we couldn’t work out how she got under the cupboard. There were no holes or cracks big enough for a cockroach, let alone a hamster; weird! If hamsters have the ability to walk through walls like some Tibetan monks are supposed to be able to then why couldn’t she walk through the walls out again? The reason I suspect that Sweetie’s predicament might have been the source of my mysterious sense of unrest is because I seem to have a psychic link with hamsters; see here: http://hpanwo.blogspot.com/2008/12/psychic-hamster.html . When I got home there was some good news. I won the conference raffle and therefore get a free DVD collection featuring every speaker at the conference. Those DVD's will give me many happy hours of recollection I'm sure. This has been the best conference I’ve ever been to and reviewing it has been quite a task. I’ll look forward to hopefully attending the next Alternative View Conference next year. Thanks very much, Ian and everyone else who brought AVII to life.